HSM, the global manufacturer of components and provider of integrated solutions to the transportation, furniture, bedding and a growing number of diversified markets, introduced its Perceptive Sleep™ system at the 2014 ISPA EXPO. The made-in-America Perceptive Sleep™ system offers original equipment manufacturers (OEMs) a choice of foam core and hybrid bed build sub-systems, bed build sub-systems with an FR solution added or a completed mattress with a customizable zipper cover. As with the new Transitional™ Sleep System adjustable beds, HSM will limit sales of the Perceptive Sleep™ system to OEMs. "In addition to choosing whether they want a customized bed build sub-system or a customized completed mattress, OEMs can choose from among one of three good, better, best foam mattress options," explained Brent Limer, HSM director of new business development. "This provides our customers with the best opportunity to meet the specific performance and fashion requirements of their markets while enjoying the flexibility that comes with maintaining a just-in-time inventory." The system’s Pro Foam mattress line includes 8-inch, 10-inch and 12-inch offerings, all made with high-density polyurethane base foams as well as a mixture of premium viscoelastic and viscoelastic gel foams. In addition to being made in America, products in the Perceptive Sleep™ system are made from CertiPUR-US® certified foams. 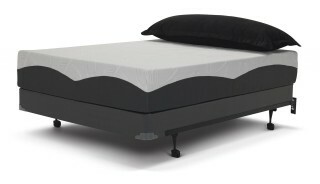 Available in standard sizes, this line is also compatible with Transitional Sleep System adjustable beds. Additional products in the Perceptive Sleep™ system are currently under development and will be introduced later this year. To learn more about the Perceptive Sleep™ system, visit www.perceptivesleep.com.